ST. LOUIS—Accella Performance Materials has purchased the Spray Foam Division of Quadrant Urethane Technologies to bolster its polyurethane foam systems operation. Currently based in McKinney, Texas, the acquired operation manufactures urethane spray foams. Combined with Accella, which is a member of the Arsenal Capital Partners group of companies, Quadrant Spray Foam “provides a strong product portfolio of spray foam system solutions and services, allowing us to further expand our footprint in spray foam insulation,” said Andy Harris, president and CEO of the St. Louis-headquartered Accella group. Robert Jamieson and about 12 members of the Quadrant Spray Foam staff will remain with Accella, according to Al Restaino, vice president of marketing for Accella, a manufacturer of custom formulated polyurethane systems and recycled rubber products. Jamieson, who will take on the primary leadership role of the company's growing spray foam business, said the combination of the businesses will produce a better supplier for customers because Quadrant Spray Foam will continue to serve its customer base while leveraging Accella's manufacturing and technology capabilities to build on its brand success. Only the foam spray business and its assets were purchased from Quadrant Urethane Technologies, Restaino said. A plant operated by Quadrant in McKinney is not part of the transaction, he said. But he noted the facility will handle toll manufacturing of spray foam products until the polyurethane unit and its assets can be moved to Accella's plant in Cartersville, Ga., where the company's spray foam operation and Burtin Polymer Labs are based. Completing the move of the operation to the Georgia plant will take about a year or less, Restaino said. Although the business falls under the Accella Polyure-thane Systems umbrella, the Quadrant brand name will remain unchanged, he added. Merging Quadrant Spray Foams into Accella “and the prior inclusion of Premium Spray Products, Burtin Polymer Labs and Coating & Foam Solutions provides innovation, scale and speed that makes Accella the industry leader in spray foam for insulation and roofing, according to Chris Brink, vice president of Accella Polyurethane Systems. Accella's position as a leading independent polyure-thanes systems house has become even stronger “by leveraging the combined technology, manufacturing and customer support across the group,” said John Televantos, an Arsenal partner who co-heads Arsenal's Specialty Industrials business. Roy Seroussi, a principal at Arsenal added that Quadrant Spray Foam has a strong reputation for producing high quality products and customer service that ties in well with Accella's offerings and culture to meet the needs of its customers better. Launched in 2000, Arsenal is a New York-headquartered private equity firm that specializes in middle market specialty industrial and health care companies. 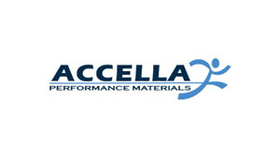 Accella was formed by Arsenal from the combination of several companies it acquired over the last several years, starting with Dash-Multi Corp. and followed by MarChem, Arnco, Pathway Polymers, Ultimate Systems, RB Rubber, IPS Polymer Systems, Zeus, Premium Spray Products, Coatings & Foam Solutions and Burtin Polymer Labs.